The first web browser that can be used for Bitcoin mining is now out! 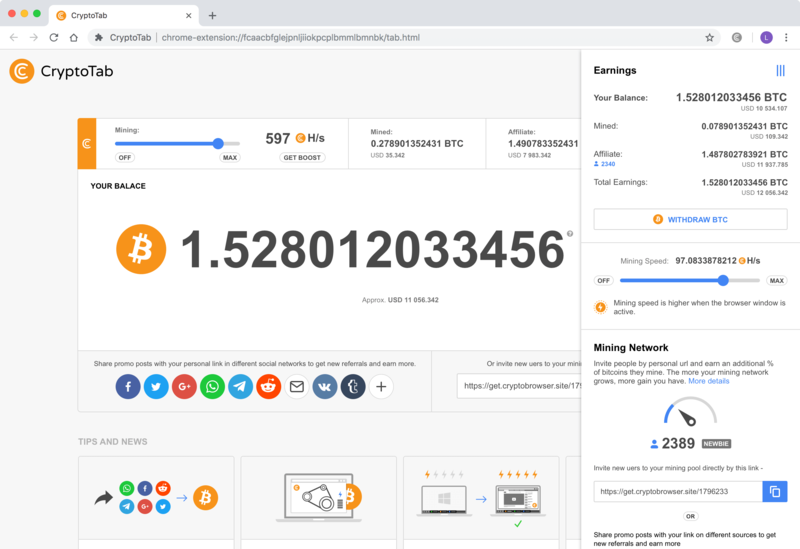 I present you the CryptoTab Browser mining software. 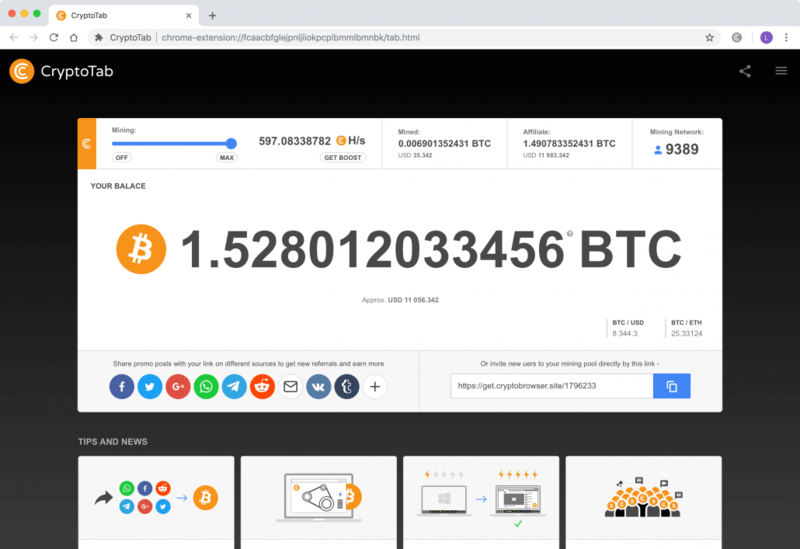 By the look and feel of this browser, it’s easy to figure out its a fork of Google Chrome. 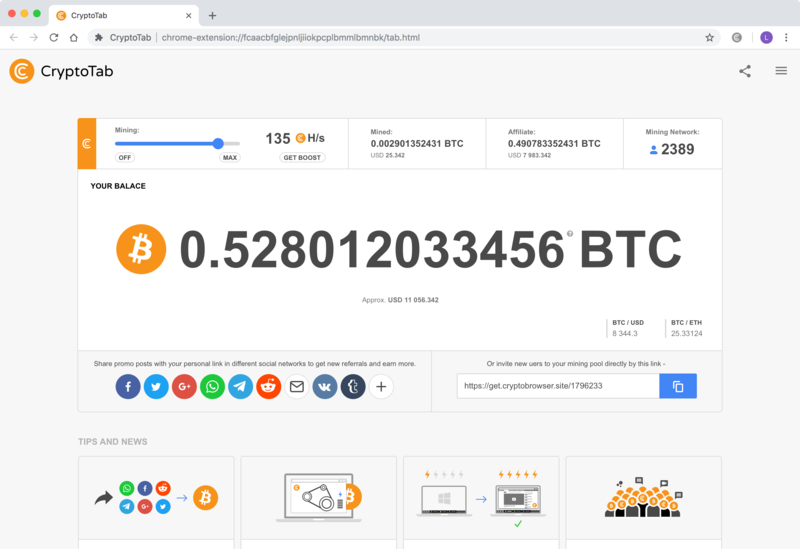 It looks the same, the installation process is the same, and you can login with your Google account in order to protect your funds. 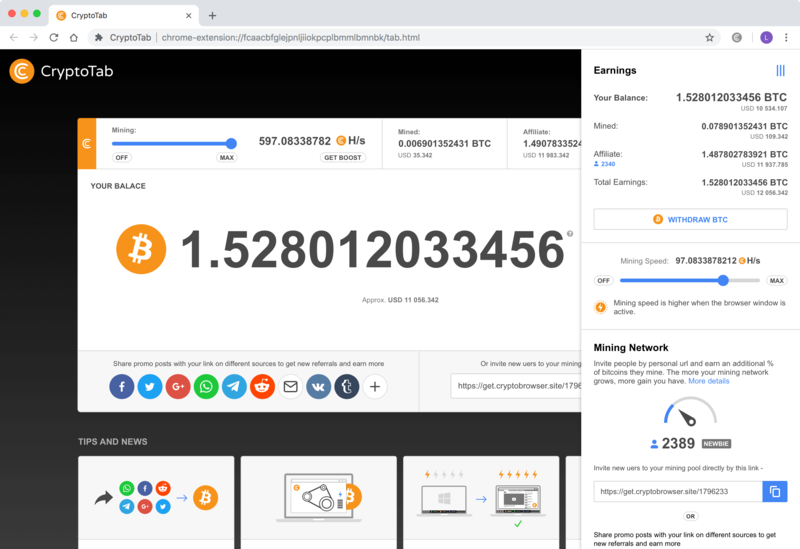 But there’s one major difference- this browser has the Bitcoin mining software incorporated inside of it, so you can mine Bitcoin while browsing the web.